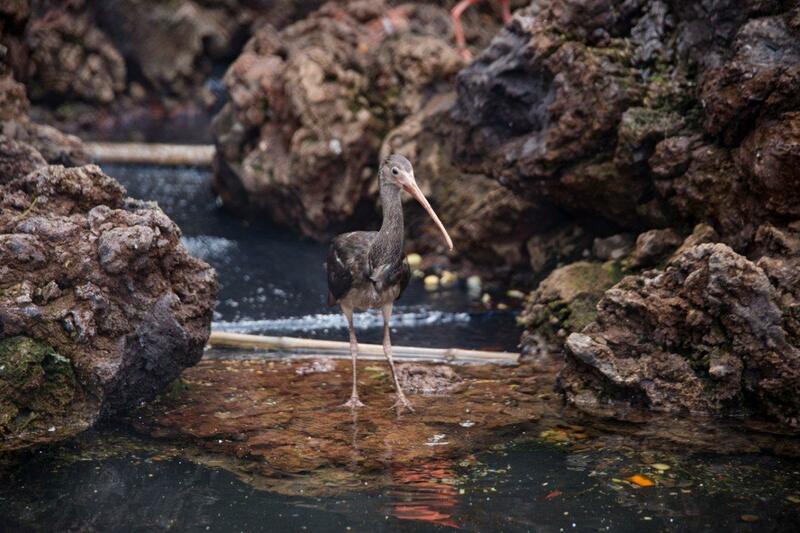 Loro Parque has recently celebrated two new births at its sumptuous South American aviaries. On this occasion, two Scarlet Ibis chicks have brought joy to the entire team of the park with their vibrant, reddish feathers. It is the first time that this species, original of South America, has bred in the park. The entire process has developed naturally which demonstrates that the environment created for them is optimal and that they can express their natural behaviour in the spacious, innovative aviaries, which they share with different other species of the same geographic origin. 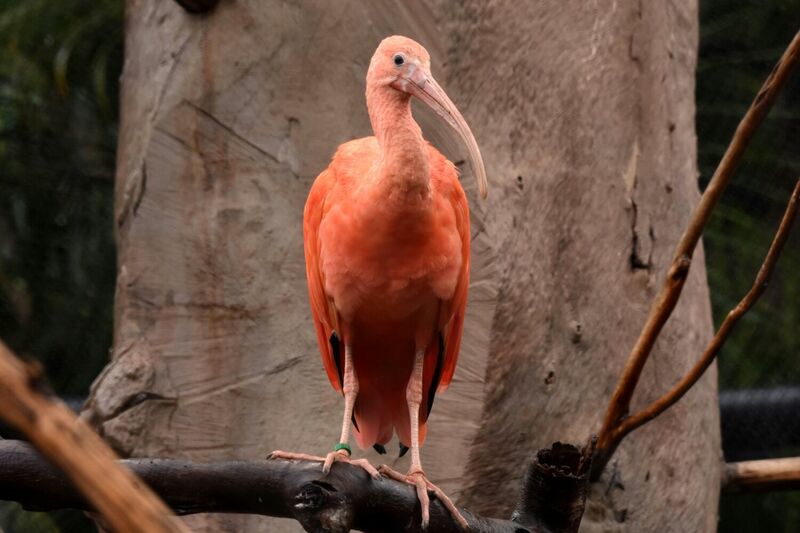 The gestation process of the Scarlet Ibis, scientifically known as Eudocimus ruber, lasts 23 days. A chick hatches covered in black down that later develops into reddish feathers. After about a year and a half, the hatchlings obtain scarlet red plumage. The bright colour is an effect that is produced by a special pigment that the birds receive by ingesting small crustaceans, which form their principal source of nutrition. While they are still hatchlings, they maintain darker feathers and look quite different from the adult specimen. This serves them as a perfect camouflage that protects them from the numerous predators. 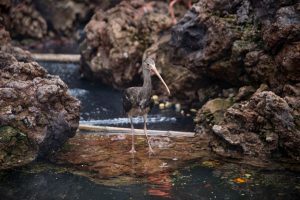 The visitors of Loro Parque are able to observe how the new hatchlings are evolving, growing and gradually developing the colourful feathers. This species maintains the “Least Concern” status, according to the International Union for Conservation of Nature (IUCN), although their populations in the wild tend to decline. This occurs due to continuous degradation of their natural habitats as a result of adverse human activities, including poaching and creation of artificial water channels. Therefore, the situation requires close monitoring and proactive action. 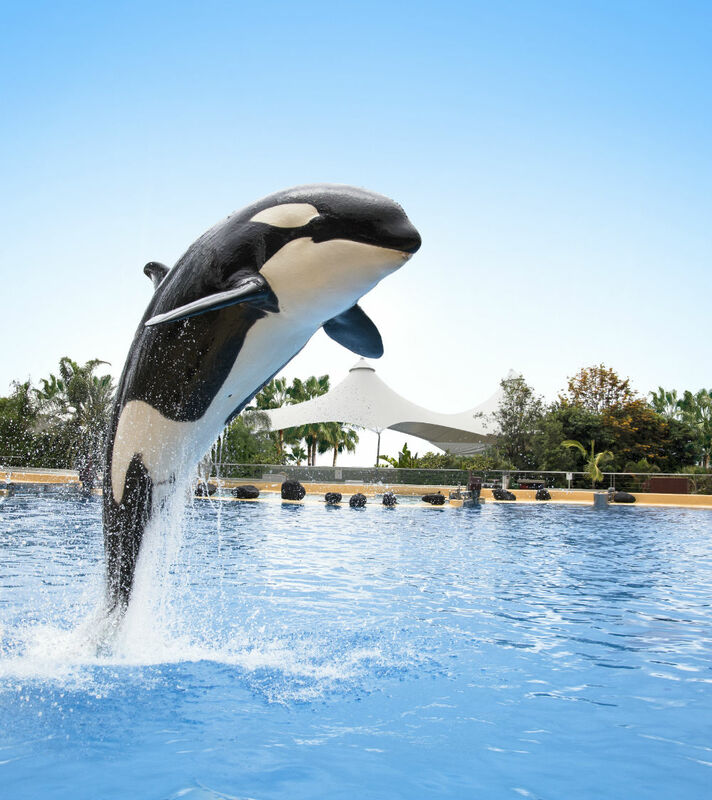 These innovative installations at Loro Parque accommodate several different species that co-exist harmonically while developing their flying skills and interacting amongst themselves, which represents the best example of the environmental enrichment. Loro Parque recreates this complex environment within the South American Aviaries as an example of its continuous commitment to innovation and conservation of biodiversity, as well as to raising awareness among the public about the importance of protecting the wildlife and their natural habitats. 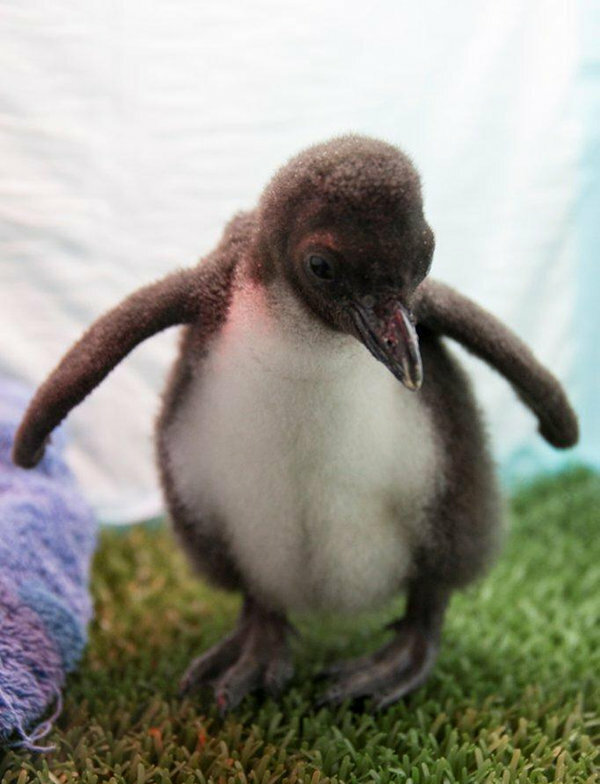 Loro Parque is very happy to welcome the newest family member. The best zoo in Europe and the second best in the world, according to Trip Advisor, welcomes Udra, the first baby zebra shark (Stegostoma fasciatum) who was born in the Park. She is a female baby of 72 grams and 27 centimeters and is in perfect health. This is a wonderful success of the professional team of the Aquarium, who performed an egg cesarean to ensure that the baby zebra shark could born without any difficulty. 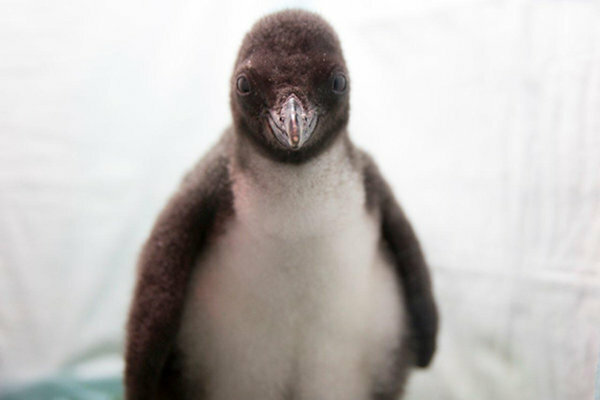 If she had born in the sea, and her mother being first-time mother, as the first hatching eggs she would have probably faced difficulties at birth. From her birth on October 24, the animal continues to develop well, and she currently feeds on small pieces of prawn, mussels, hake and squid. The amount she receives does not exceed 4% of its body weight. Her parents, Marylin and Elvis, live with another pair of zebra shark in the aquarium, so now one more member is joining this wonderful family of sharks. These animals can measure up to three and a half meters, and they have a cream-colored body with dark spots, what allow them to pass by unnoticed when they rest on the sandy bottoms of the sea. They have a broad, flattened head, and a ventral mouth with which they can dig at the bottom of the sea and look for small animals. 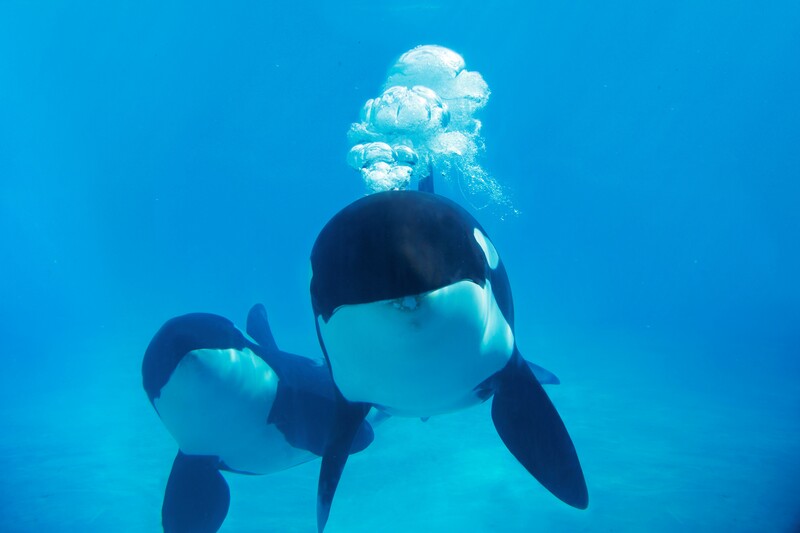 Their tail is almost half of the total length, and they have powerful lateral muscles. The common name of these animals is due to the stripes they have when they are young, which later turn into spots when they are adults. It is a slow but slippery swimmer. This shark does not chase his preys, he just drives them into small spaces and uses its great and flexible body in order to make them unable to escape. 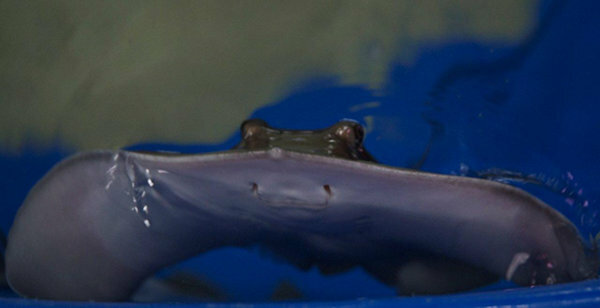 Its jaw is in the ventral part of its head, and has also the special ability of being retractable inward allowing the shark to be more aerodynamic. Although the ability with its jaw allows the shark to swim faster, he is still a slow animal, but that extra speed can be vital when escaping from predators, and during prey hunting. The breeding and reproduction of zebra sharks is essential to provide more information on how to conserve and guarantee the well-being of endangered species such as angelsharks (Squalma squatima) which is the world’s most threatened specie, and the hammerhead shark (Sphyrna sp. ), whom Loro Park Foundation helps through protection projects. The largest of the anteaters subspecies is endangered and we must give our help! Once again, and with our passion for Nature, we have reached out to a species that need the collaboration of all of us. In this case, Loro Parque has decided to give shelter the giant anteater and participate in its population growth. From here, we want to express that without your help and the visits we welcome every day, we could not protect all the species that need our urgent help. Don’t you know the family of anteaters that live in Loro Parque yet? 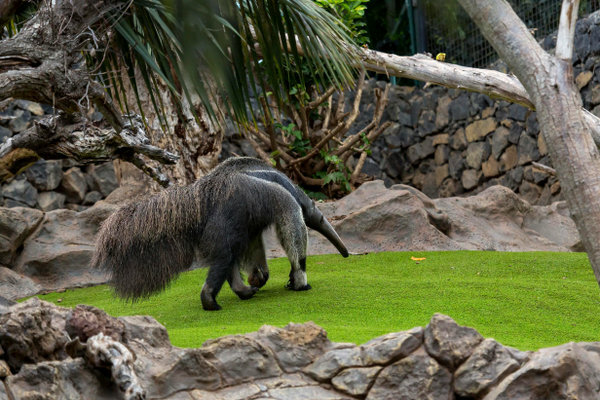 A male anteater named “Hombrecito” and two beautiful females, “Cuñatai” and “Suanne”, are the only family of giant anteaters (Mirmecophaga tridactyla) in the Canary Islands, and they happily live in Loro Parque. This zoo participates in the European Endangered Species Programme (EEP) to conserve anteaters and promote adequate conditions for their survival and reproduction. This species is categorised as ‘Vurnerable’ on the Red List of the International Union for Conservation of Nature (IUCN), due to the dramatic decline of living specimens. In their natural area, the particularity of their diet, the low rate of reproduction and the threats that degrade their habitat have been proved to be significant causes of their threatened status. Did you know? In the last 10 years, anteaters’ population has dropped by 10%! The extension of their habitat covers from Southern Mexico to Northeastern Argentina and is only present in the American continent. The largest concentrations are found in South America and the greater threats they suffer from are forest fires, which both destroy their natural environment and impede them to survive, as their fur is flammable – furthermore, their moves are too slow to be able to escape the fire. On the other hand, both hunting and sport hunting increases its vulnerability, as their fur and claws are used to tailor clothing products. The striking appearance of the giant anteater is mainly due to its long snout, which can measure up to 45 centimetres. The tongue in even longer: 50 centimetres covered with sticky saliva. The skull, ears and eyes and eyes are small though. Anteaters can be both diurnal and nocturnal, depending on their needs. Although, most of anteaters near of cities make their daily activities by night. They usually curl up and rest in dense bushes, abandoned burrows and tall grass with their tail curved over its body to keep heat and camouflage. This species is an excellent swimmer and he usually goes through broad rivers. Therefore, we have designed a lake in their facilities in Loro Parque with many fish species, where you can see them bathing in it. Did you know that they can eat thousands of ants and termites, sticking out the tongue up to 150 times per minute? They can eat up to 30.000 larvae and ants. Loro Parque will always fight for respect and preservation of biodiversity, and we encourage all of you to join us in this fascinating world. Get passionate about nature and protect our most important legacy! Let’s learn, together, how to love it and take steps in the right direction: the conservation of all the species of flora and fauna on this beautiful planet. Thank you, Nature lovers! Let’s meet in our next post!